When we visited the Franz Josef Glacier on February 20th, my attention leapt not only to the glacier and nearby waterfalls, but to the many rocks in the area. 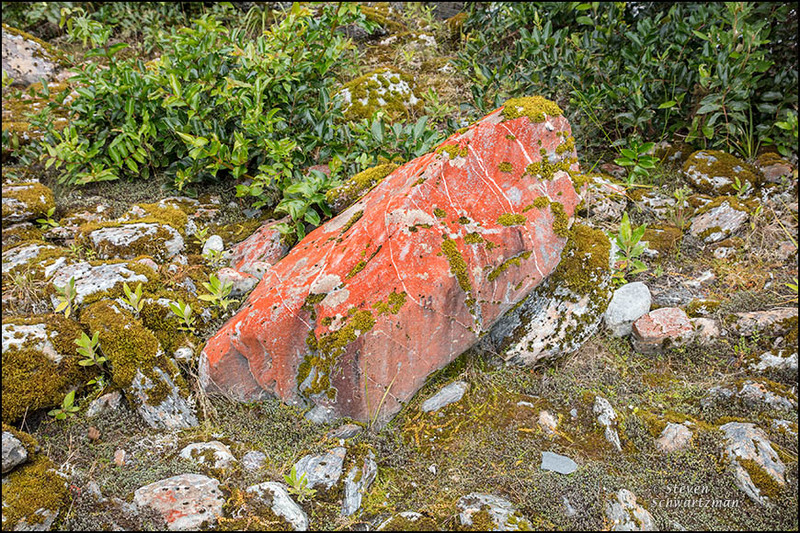 In particular, lots of rocks were coated to varying degrees with a fine red-orange lichen, shown above, that made the stone surface it was on seem painted. 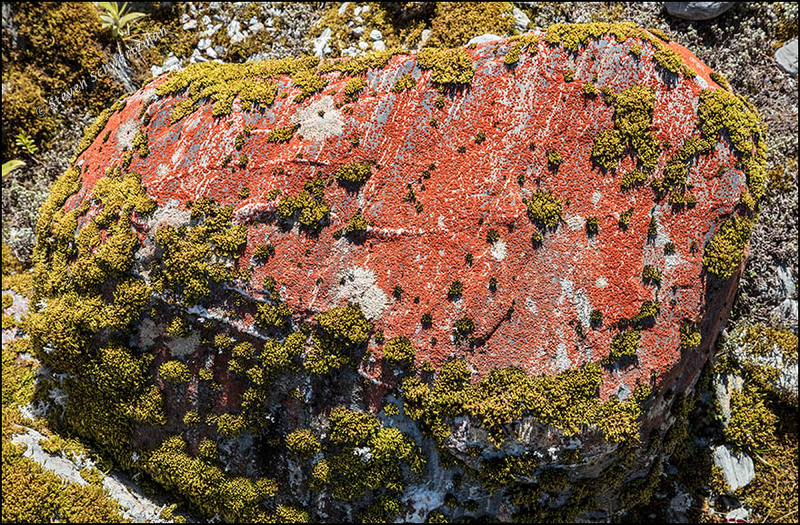 In many cases, as you see below, mosses vied with the reddish lichens for territory on the rocks.